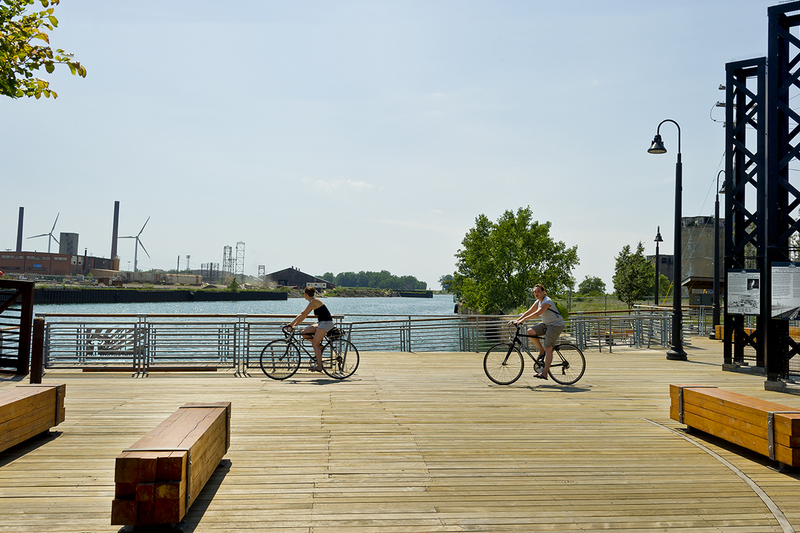 The design response for this node of the Buffalo Outer Harbor Parkway at the mouth of Union Ship Canal is a historical and industrial interpretation of the area’s past. 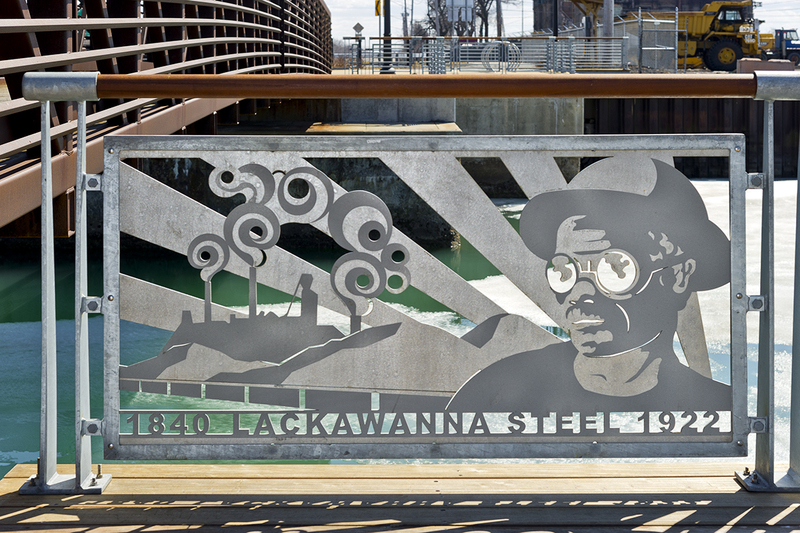 Materials selected are reflective of the lumber and steel industries, such as the embedded rail tracks in the ipe decking and monumental steel signage. 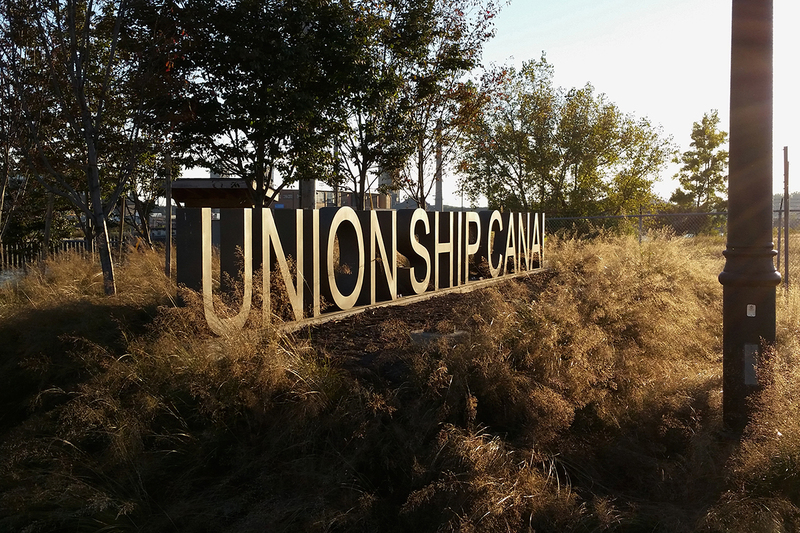 Union Ship Canal is a terminus node in the Outer Harbor Parkway; a multi-purpose gathering space where views of the Outer harbor and Lake Erie can be enjoyed. 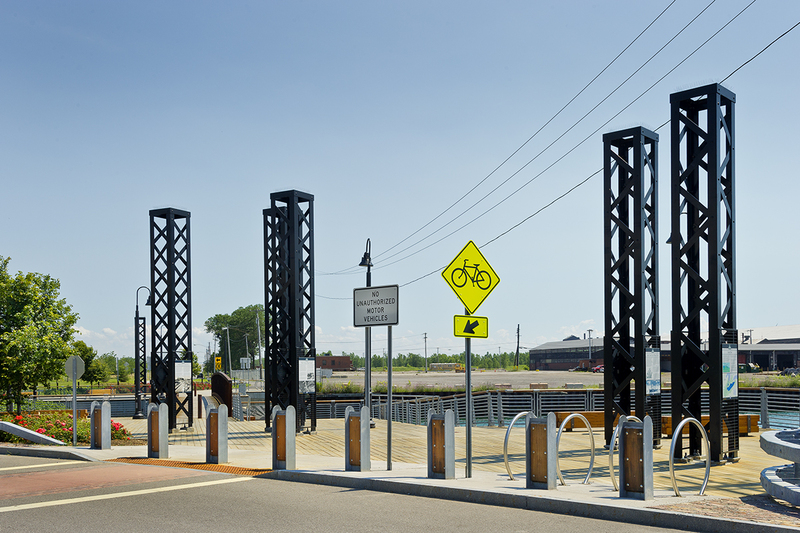 The Union Ship Canal and storage yards originally came about as a collective effort of railroad, shipping, banking and iron smelting business interests. 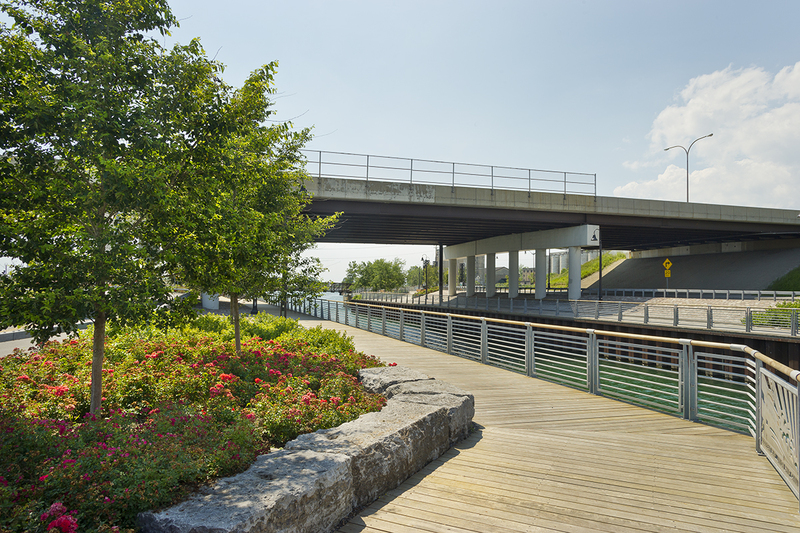 The canal originated at the shore of lake Erie and crossed Fuhrman Boulevard, which was spanned with the Scherzer rolling Bridge. The Union Ship Canal in its final iteration was 2,240 feet long and 222 feet wide, accommodating vessels up to 23 feet in draft.